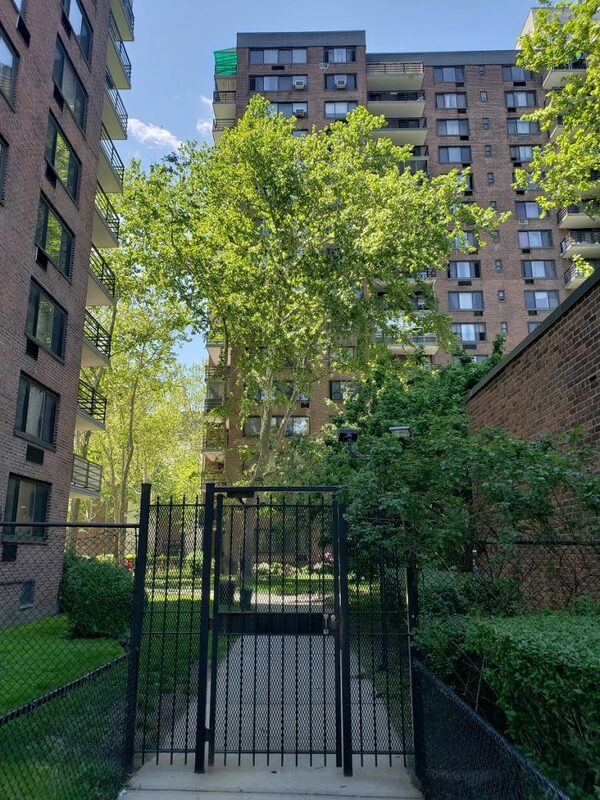 With an official address of 470 Lenox Avenue, the Lenox Terrace development covers six square blocks between Lenox and Fifth Avenues, alternating six residential slab towers with single-story commercial developments on the Lenox Avenue frontage. The first tower was completed in 1958 and was lauded by The New York Times as “Harlem’s best address”. Currently housing some 4,000 people, the development has always retained its cachet as a desirable location. Lenox Terrace is the only such residential project in Harlem to still be owned and operated by the original developer. Recent – and controversial – plans call for adding over 1,600 apartments in four new buildings and reconfiguring the shared landscaping extensively.